This is a sponsored post written by me on behalf of Leatherman for IZEA. All opinions and amazing hand modelling photos are 100% mine. I can’t count the number of times I’ve had a conversation like this. How could the lack of something as simple and ordinary as a bent metal strand prove to be so frustrating? Gee, I missed my full-sized, jam-packed toolbox back home. 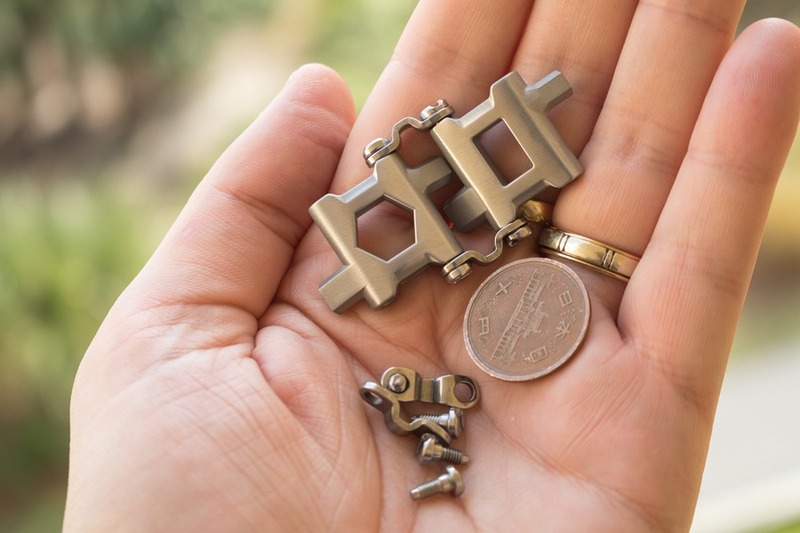 When I heard about a 29-in-1 handyman tool that could fit around my wrist and added no weight to my luggage, it seemed like it was too good to be true. I had to try. 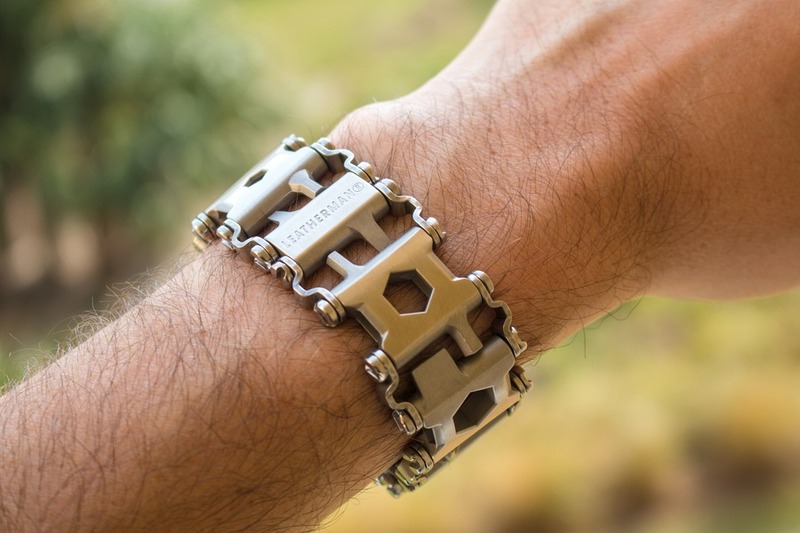 The Leatherman TREAD combines stylish jewellery with highly functional tools, perfect when you’re out and about. Crafted from corrosion-resistant 17-4 stainless steel, the sturdiness and durability is second-to-none. 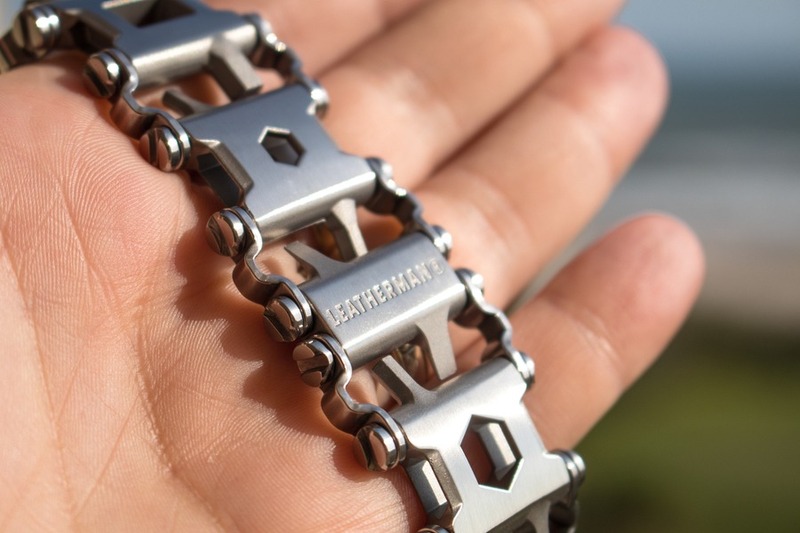 In fact Leatherman stand behind the TREAD with a 25-year guarantee to repair or replace it if it breaks. Having used my TREAD now for just over a month, I’ve been surprised in how many ways I’ve used it - opening Amazon boxes, ejecting SIM card trays on smartphones, fixing furniture, fixing toys, and even switching the head on my camera tripod. From the mildly convenient to the rare emergencies, it’s proven to be worth its weight in gold. And it still looks like it just came out of the box. Unlike a regular multi-tool, the TREAD is TSA compliant so you can take it through airport security checks and onto commercial flights without issue. And unlike other tools which take up valuable storage space and weight in your luggage, this one lives on your wrist and is with you all the time, especially in those moments when you really need it. The TREAD is quite large out of the box, so I simply removed 2 links (each link has 2-3 tools) in order to size it for my wrist. Following the included instructions, this process was pretty painless – it only required 1 cent coin to unscrew the clasps (or a 10 yen coin in my case). I was a little apprehensive at first, worried that the TREAD might get stuck on objects as I walked past, or that the tools might dig into my wrist. But I quickly discovered my concerns were unfounded. The TREAD was much more comfortable than it looked. Like a correct-fitting watch, I soon forgot it was even there. The curved ergonomic design has been well conceived and executed. And the watch-like clasp makes putting it on my wrist a snap (pun intended). This part is very easy. Simply unclip it from wrist, fold into a clump and go crazy. The range of tools include various sizes of: Phillips screwdriver, flathead screwdriver, box wrench, hex drive, socket drive, SIM card tray ejector, glass breaker, cutting hook and an ever-important bottle opener. The Leatherman TREAD isn’t for everyone. Without sounding sexist, it’s designed to be a man’s tool. Thick, chunky metallic design appeals to the testosterone driven individual, although I’m sure there are plenty of women who would love to get their hands on one of these babies. If you want to feel prepared for anything that comes along, whether you’re going hiking, camping, fishing or travelling to the other side of the world, this is the tool for you. As for me, the TREAD makes me feel a little like TV’s MacGyver. I’m ready for anything. Minus the hairstyle. While other multi-tools may pack a little more functionality and flexibility, the TREAD’s focus is style and convenience. If I were to add a couple more tools onto my wishlist, it would be a miniature Phillips head screwdriver for electronics and kids toys. But I’m not sure if that could be construed by the TSA as a weapon. If you need a multi-tool for regular use throughout the day naturally accessing the TREAD’s functions will be slower than a dedicated tool. This is designed firstly as a fashion statement, and second as a multi-tool. And to ensure TSA compliance, it can’t have a blade which is a shame, but totally understandable. If you simply want a little fashion forward bling on your wrist, then there are probably cheaper options available. But if you want to look stylish AND show the world that you’re ready for anything, even a pending zombie apocalypse, then the TREAD fits the bill. And if you’re feeling generous, it also would make the perfect birthday, anniversary or Christmas gift. Then sit back and wait for the end of the world to eventually come around - you’ll be glad you’ve got the TREAD within reach. I love this. My husband travels weekly for work, I only wish I had seeing it time for Christmas!